ISLAMABAD, May 26 (APP): Minister of State for Education Engr. Muhammad Baligh ur Rehman on Thursday urged the youth to be optimist for the national growth and social uplift. 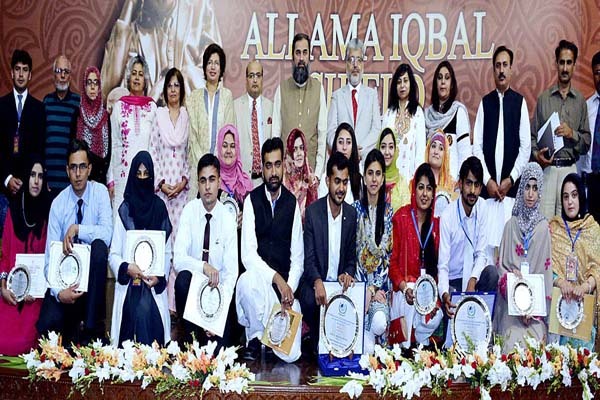 Speaking at the final round of 18th All Pakistan Inter-University Declamation Contest organized here by the Higher Education Commission (HEC), he said Islam strongly condemns pessimism, adding that disappointment among people destroys nations. He said that “Always see both the sides of a picture, as you have to sort out way out of the darkness of problems for your prosperous future,”. He said that declamation contests and speech competitions among students enhance their analytical and critical thinking. He said such activities create a spirit to come forward and work hard for national growth. Referring to the role of media, Baligh-ur-Rehman said the media has a major role in the development of a country, so it should not only point out negativities in our social fabric but should also highlight the positive aspects. He said the incumbent government is paying due attention to promotion of higher education. Recalling the havoc of terrorism and extremism in the past, he said the menace of militancy took the country hostage till 2013, but currently the situation has highly improved as terrorism incidents have marked a visible decline. In his welcome address, Dr. Mukhtar Ahmed, Chairman HEC congratulated the position holders and said that holding of the declamation contest is a regular activity organized by HEC every year. Following the recommendation of the minister, he announced to increase the cash prize for winners from Rs. 60,000 to Rs. 1,00000 for first position holder; while for second position the cash is increased from Rs. 50,000 to Rs. 75,000, and from Rs. 40,000 to Rs. 50,000 for the third position holder. He also announced to award Rs. 10,000 to each participant of the contest. Speaking about the recent QS ranking, the Chairman said that only 50 countries out of around 197 world countries were selected for ranking and it is an honour instead of a discouragement that Pakistan has got place in this race. He said two Pakistani universities have made their pace in 700 world class universities. He said that educational growth needs hefty investment and Pakistan is in competition with the nations which have been investing in the sector for centuries. He said that the Global Donors Forum has selected HEC for Three-G Excellence in Higher Education Award for the year 2016. The Chairman said that Pakistan is confronted with a maze of problems, however solution to all ills lies in education. “We need to rectify the odds through education,” Dr. Mukhtar concluded. As many as 30 contestants, both in English and Urdu categories, participated in the final round of the contest. Prof. Dr. Waseema Shehzad, Dean Faculty of Social Sciences Air University, Islamabad chaired the English session, while Prof. Fateh Muhammad Malik, former Rector International Islamic University Islamabad chaired the Urdu session of the contest. Those who took part in the English category included Fahad Farooq from Army Medical College (National University of Medical Sciences), Habib-ur-Rehman from Balochistan University of Information Technology, Engineering and Management Sciences, Quetta, Salika Durrani, Foundation University, Rawalpindi, Maryam Mahsood from Gandhara University Peshawar, Talha bin Azhar from Ghulam Ishaq Khan Institute of Engineering Science and Technology, Topi, Sawabi, Humaira Ahmed from Gomal University Dera Ismail Khan, Abdul Hannan from Government College University, Faisalabad, Sana Murtaza Dayo from Liaqat University of Medical & Health Sciences, Jamshoro, Anam Noor Ehsan from Aga Khan University, Karachi, Barmsh Khan from Pakistan Institute of Development Economics, Islamabad, Rafia Noor from Sardar Bahadur Khan Women University, Quetta, Maria Esan from University of Balochistan, Quetta, Dua Fatima Faiz Muhammad from University of Sindh, Jamshoro, and Rameesha Khan from University of the Punjab, Lahore. The Urdu category contestants included Ahmad Cheema from Army Medical College (National University of Medical Sciences), Rawalpindi, Ammad Shakeel from Al-Hamd Islamic University, Quetta, Shaista Gul Khan from Balochistan University of Information Technology, Engineering and Management Sciences, Quetta, Inam-ur-Rehman from Gomal University, Dera Ismail Khan, Hafsa Abdul Ghafar from Government College for Women University, Islamabad, Adeela Batool from International Islamic University, Islamabad, Hareem Zafar from Islamia College University Peshawar, Umm-e-Farwa from Jinnah Sindh Medical College, Karachi, Makhdoom Shahab-ud-Din from National University of Sciences and Technology, Islamabad, Muhammad Taqi Jawad from Preston University, Kohat Campus, Ruqia Khan from Sardar Bahadur Khan Women’s University, Quetta, Kanwal Iqbal from Sindh Madressatul Islam University, Karachi, Muhammad Ehtisham Akbar from University of Agriculture, Faisalabad, Abdullah Imran from University of Engineering and Technology, Lahore, and Ms. Mahrukh Baloch from University of Sindh, Jamshoro. Ms. Noor Amina Malik, former Director General, Learning Innovation, HEC, Mr. S. Munawwar H. Naqvi, senior journalist from Financial Daily International, Islamabad, Dr. Najeeba Arif, Assistant Professor, Department of Urdu, IIUI, and Dr. Shaheena Ayyub Bhatti, Associate Professor, English Department, NUML performed the responsibilities of judges of the contest. At the end, the Chief Guest distributed certificates and cash prizes among the participants. Vice Chancellors as well as students of different universities were also present on the occasion.